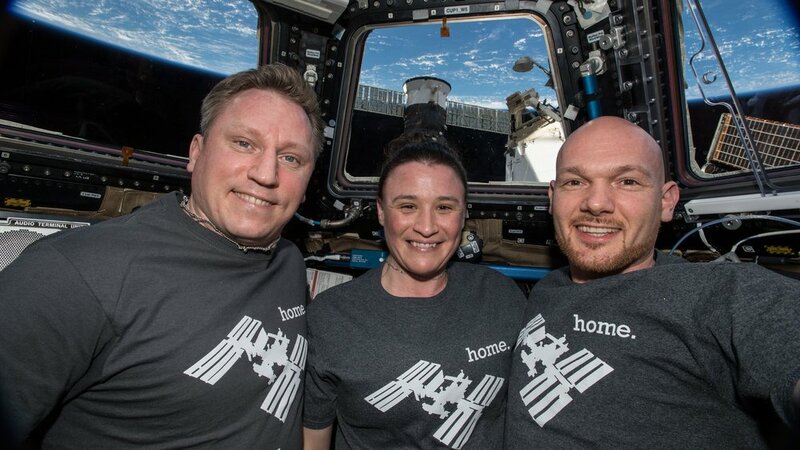 The trio was original supposed to land Dec. 13, 2018, but because of the Oct. 11, 2018, Soyuz MS-10 launch abort, this date of the crew’s return was postponed by about a week. Additionally, the Soyuz MS-11 crew launch was moved forward to Dec. 3. Expedition 57 Commander Alexander Gerst formally handed over command of the space station over to soon-to-be Expedition 58 Commander Oleg Kononenko. Once Soyuz MS-09 undocks from the space station, Expedition 57 will officially conclude and Expedition 58 — consisting of Russian cosmonaut Oleg Kononenko, NASA astronaut Anne McClain and Canadian Space Agency astronaut David Saint-Jacques — will start with Kononenko serving as commander. NASA TV departure coverage is expected to start at 21:45 UTC Dec. 19.